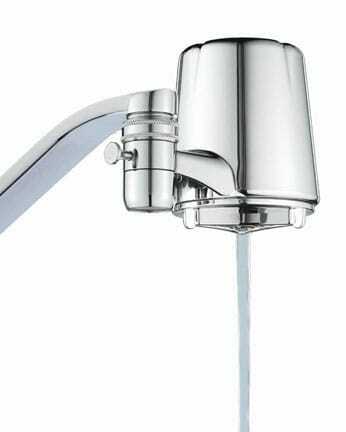 Is your tap water safe to drink? Because unhealthy levels of contaminants such as bacteria, lead, and pesticides are found in both metropolitan and well water supplies, it’s important to know whether pollutants exist in your water. And, if they do, you need to know how to supply your home with clean water. Buying the right water filter can ensure clean, safe drinking water. Buying bottled water is the quickest and, initially, cheapest way to get clean drinking water. But over the long haul, it is far more expensive. Producers of bottled waters are regulated by the same standards imposed on public water systems and are also self-regulated by the International Bottled Water Association. Club sodas, carbonated waters, seltzers, and waters containing more than 1 percent flavoring are not covered by these standards. Water filters are the more permanent solution. 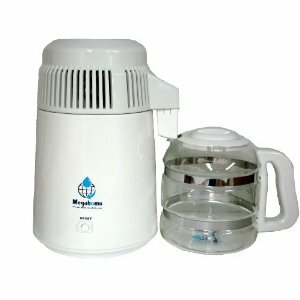 Many types of water filters are made, and they range widely in sophistication and price. 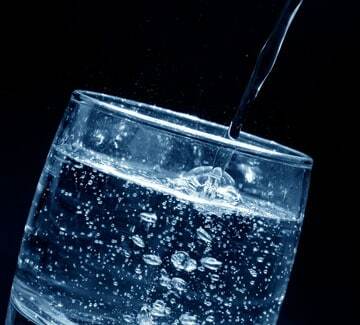 They may use reverse-osmosis, activated carbon, or ultra-violet rays to clean or purify water. Should you buy an under-the-sink reverse-osmosis filter, or will a simple spout-mounted carbon filter do? Scores of companies claim to have the latest and greatest answer to your water needs. What are your other options? The effectiveness of a water filter at removing specific contaminants depends upon the technology used. So, it’s important to know what needs to be removed from your water—and that involves testing. 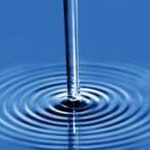 This section of HomeTips explores the issues of clean drinking water, how to get water testing accomplished, comparing filter technologies, and how to install a water filter. If the only problem with your water is grit, dirt, sediment, rust, or other such particles, a screening filter may be sufficient. Made of fiber, fabric, ceramic, or another screening medium, these simply catch particles—including, in some cases, small organisms like cysts and some bacteria. But don’t rely on them to handle disease-causing organisms, VOCs, metals, or the like. If your water tastes, smells, or looks bad, a filter containing activated carbon (AC) may solve the problem. If you want to remove chlorine, pesticides, herbicides, radon, trihalomethanes (THMs), and some inorganic chemicals, carbon may do the trick. Some, but not all, carbon filters are effective at reducing lead content. Solid-block and pre-coat absorption filters trap lead. Check the certification of the unit you’re interested in buying and, if claims are made regarding lead removal, ask for proof. You can’t rely on a conventional carbon filter to remove salts, nitrates, nitrites, and some metals. And you shouldn’t rely exclusively on one to remove organisms. In fact, be aware that a carbon filter will accumulate the contaminants removed from water, and bacteria may even breed in it, so you must replace filter cartridges religiously, according to the manufacturer’s recommendations. A carbon filter that contains pesticide silver may be registered—but, remember, is not endorsed—by the EPA. Studies show that these are not fully effective at eliminating bacterial growth or microbiological contaminants. Again, be sure any such claims are substantiated. Effectiveness of a particular carbon unit is a factor of the amount of activated carbon it contains. You can buy under-counter, countertop, and faucet-mounted styles, but the $30 faucet-end models are only marginally effective. Whole-house systems are available for $3,000 and up. Known as point-of-entry (POE) systems, these are recommended where a contaminant such as radon poses a threat to the entire household. 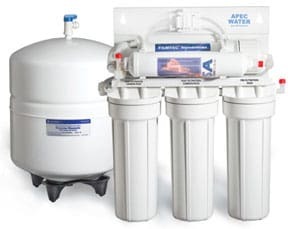 If you must remove inorganic chemicals such as salts, metals (including lead), minerals, nitrates, asbestos, and some organic chemicals, consider a reverse-osmosis (RO) filter. Actually, most models include carbon pre-filters and post-filters, which will catch sediment, pesticides, herbicides, THMs, and radon. RO filters remove lead, but some don’t remove chlorine (if this is claimed, request proof of performance). The carbon post-filter is used to improve the water’s taste. Pre- and post-filter cartridges should be replaced annually. Most RO filters are connected directly to plumbing and are located beneath the sink. A small tank stores clean water until needed, and tainted water drains out through a line connected to the sink trap. Drinking water flows through a special, separate sink-top spout. Some models have an automatic valve that eliminates the waste typically associated with RO filters—conventional models waste about 3 gallons for every gallon of water they produce. They generally cost upwards of $250. If you just want a portable, sink-top appliance that will rid water of most dissolved solids, such as salts, asbestos fibers, metals, minerals, particles, and some organic chemicals, an inexpensive distiller may be just the thing. Distillers heat water until it turns to steam and then condenses the steam back into water in a separate chamber, leaving behind anything that won’t travel in the steam. Unless coupled with a carbon filter, they will not remove all chemical pollutants and all bacteria. Most have to be filled manually, they use a considerable amount of electricity to operate, and they may take several hours to produce 1 gallon of water. Though prices range up to $1,500, most are less than $400. Ultraviolet (UV) disinfection devices, which typically cost $150 or more, may kill bacteria and viruses, and clear the taste and odor of water, but they are not effective against chemical pollutants and may not work against cysts and spores. UV devices are sometimes used in combination with carbon filters to kill bacteria. With the popularity of water-treatment devices, a number of manufacturers have introduced products that integrate water systems seamlessly into the kitchen. 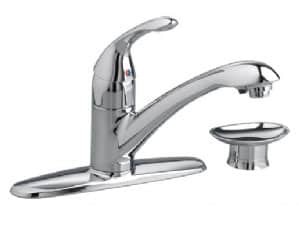 For example, the Steaming Filter Kitchen Faucet by American Standard is an elegant kitchen sink faucet with a built-in, under-sink water filter—with this, you don’t need a secondary spigot at the sink for clean water. Frigidaire offers a built-in PureSource Ice & Water Filter in its Gallery Side-by-Side refrigerators, and the GE Profile Performance Side-by-Side refrigerator offers a “Water by Culligan” built-in filter. Just be sure whatever product you buy utilizes the type of filter needed to mitigate your water problems. Before you buy, shop around, scrutinizing price, features, capacity, frequency, and cost of filter replacement and warranties. For a listing of certified units and the contaminants they remove, you can contact the independent testing organization NSF International at (800) NSF-HELP and request the Water Fact Kit. You can also its Certified Product Database at www.nsf.org. By doing your homework, you’re sure to find a product that will offer your family clear, clean water for many years.